Everyone knows we get thirsty when we exercise, and we must replace the water we lose when we sweat. However, there is a lot more to the science of hydration. It affects the success of your exercise routine and your recovery process in many ways that are less than obvious. What does water do for your body when you exercise? 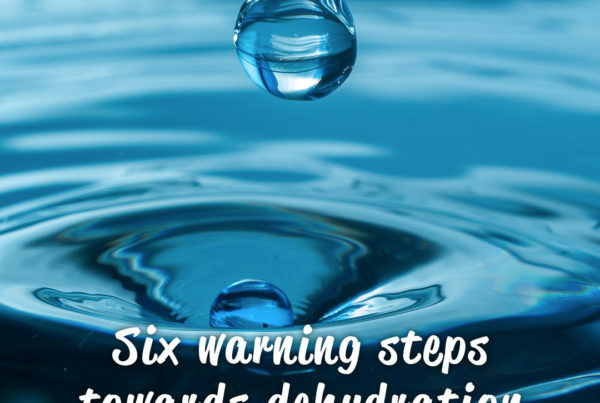 On the simplest level, water keeps you from getting dehydrated. Everyone ‘knows’ that, but most people don’t have a good idea of what mild dehydration feels like. In fact, many of us go around all day somewhat dehydrated. According to the NHS, mild dehydration is marked by thirst, a slight sense of dizziness or light-headedness, fatigue and other symptoms . If that sounds familiar, it is because most of us aren’t drinking enough water , even without exercising. Surveys suggest that many people in the UK are out of the habit of drinking water at all . For the record, tea, coffee and diet soda do relatively poor jobs at hydrating you. 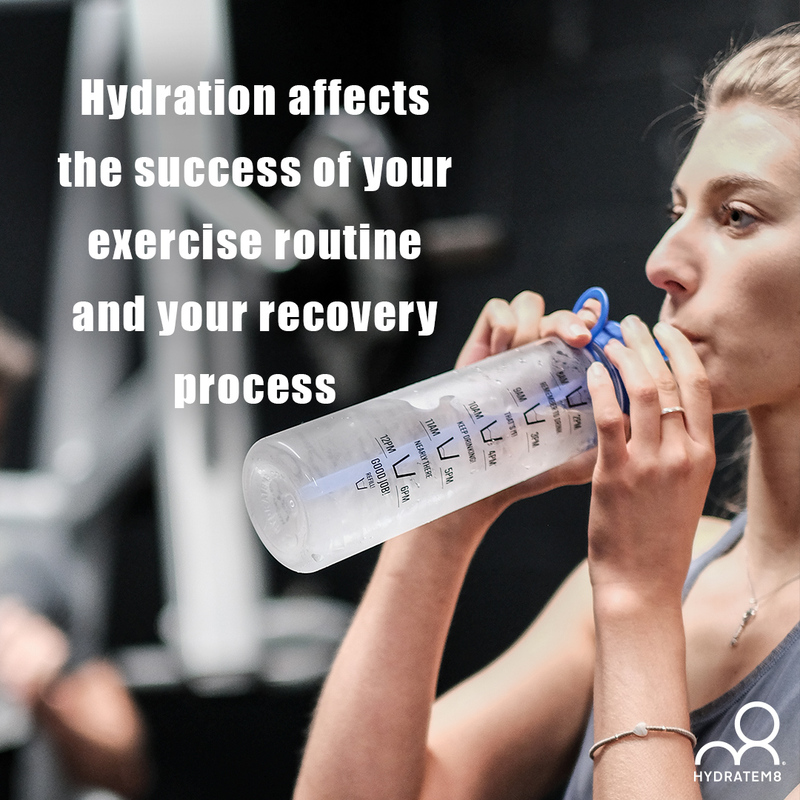 It is important to be hydrated before you begin exercising because if you start out dehydrated your performance will suffer . You will be less able to keep your core temperature regulated through sweating, your blood will be more viscous, making your heart work harder, and you’ll be at increased risk of heat stroke . Perhaps more importantly, though, if you begin exercising when dehydrated you won’t be able to exercise as long, as hard or as effectively. Why handicap yourself before you even start? You’ll be better able to reach your exercise goals if you start out with a large drink of water, 1-2 hours before you hit the gym or the road. 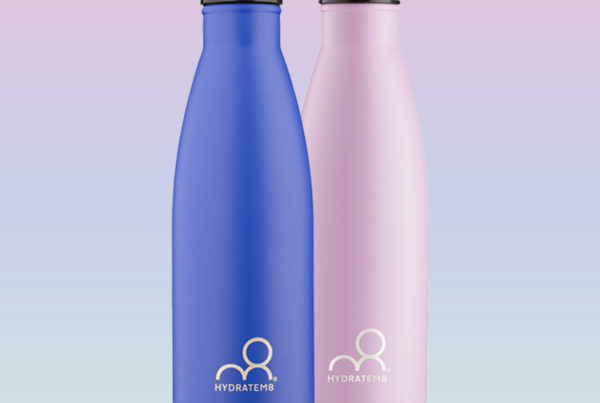 Taking a water bottle with you on a run, bicycle ride or workout is vital. Your body temperature will rise as you begin exerting yourself, because any action generates heat as we burn energy. If our temperature gets too high, we become ill, and can easily end up in a hospital emergency room. That’s why we sweat – to lower body temperature and stay healthy. In a way, the whole point of exercise is to sweat, and if we sweat, we need to constantly replace that water. Experts say you should drink around a pint of water for every hour of exercise you do, over and above your normal intake . 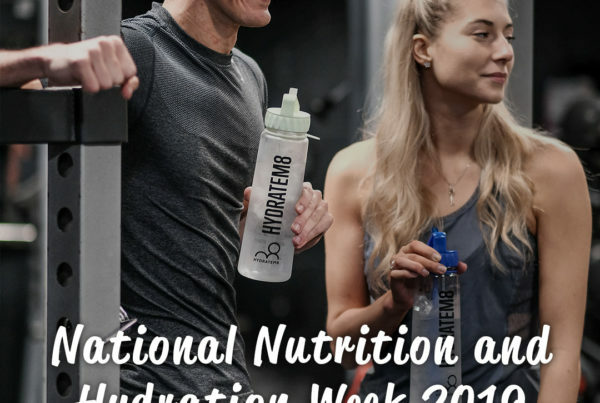 Assuming you didn’t begin the whole process thirsty or dehydrated, and kept sipping throughout your workout, you might think you’re in the clear once you stop. Unfortunately, that just isn’t the case. One of the points of exercising is to get your metabolism fired up, and that means a good workout can leave your core temperature elevated well after you stop exercising. 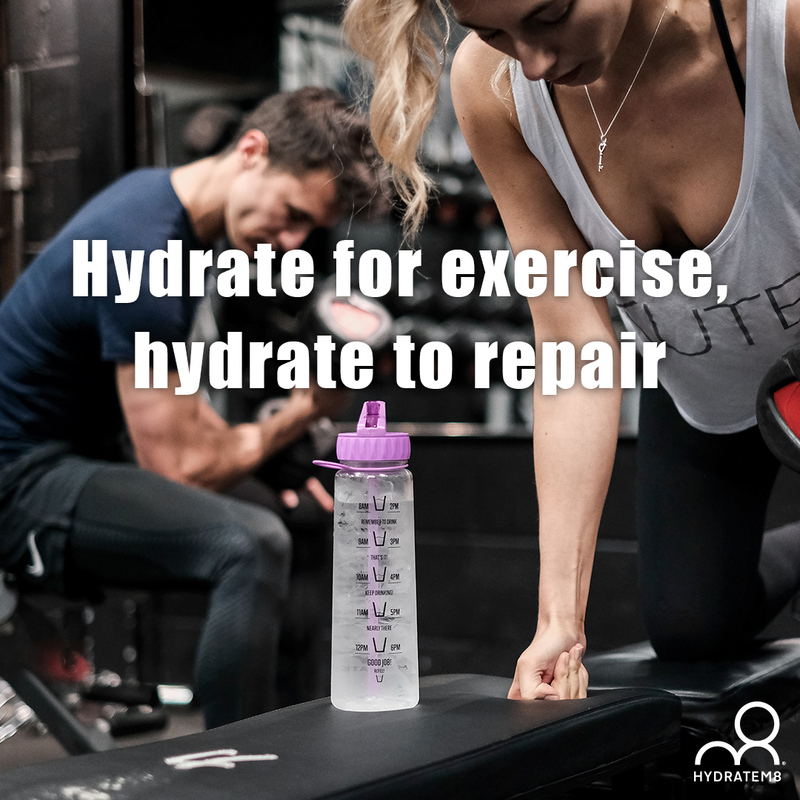 You’ll continue to sweat for some time, and even after you stop, you’ll need to rehydrate to address all that fluid loss. Your muscles need to heal themselves of tiny tears and more serious injuries after a good workout or an athletic performance. This is called ‘muscle strain’, and in comes in three stages, from a little bit of soreness at Grade 1 all the way up to the muscle tearing completely in half at Grade 3. Grade 1 muscle strain is fairly common, and heals quickly with a bit of recovery time . That is, after all, how our muscles grow and stay healthy from constant use. Your muscles are made out of cells just like the rest of you, and they heal better and faster when you are fully hydrated . The take away is that you need to keep sipping for a while, even after your workout. Muscle repair is dependent on keeping your joints well lubricated, and water really is the best thing to drink. Another excellent aid to speeding up the repair of any sore or torn muscles is to increase the Vitamin C in your diet. Fresh fruit such as oranges will fit the bill, or even squash style drinks, if they are not laden with sugar. Magnesium is also good for bone and muscle repair, but unfortunately our bodies do not produce this naturally (or only a miniscule amount), so supplements would be required. What about them? It is true that if you exercise for more than an hour at a time they might help you to replace the salts, sugars and other goodies to be found in sports drinks  . However, for most exercisers all you need is water, to balance your hydration levels and fend off injury – just don’t push yourself too hard. Since most sports drinks are very heavily sugared, you might even be doing more harm than good using them to rehydrate after exercise. Especially if the intention is to lose weight rather than to gain muscle mass, exercising with a big bottle of sugar water is shooting yourself in the foot!